The Victorian Government’s Recycling Industry Strategic Plan provides a blueprint for a safe, resilient and efficient recycling system in Victoria. The Victorian Government’s Recycling Industry Strategic Plan, released in July 2018, provides a blueprint for a safe, resilient and efficient recycling system in Victoria. An $8.3 million boost to the Resource Recovery Infrastructure Fund, bringing the fund total to more than $21 million. This will improve the quality of up to 100,000 tonnes of recycled material, including through better sorting and processing. A further $2 million to establish and expand markets for recycled materials - boosting the market development program to $4.5 million. $3.3 million for an education program to help the community recycle effectively. Development of a whole-of-government circular economy policy and action plan by 2020. This brings the Victorian Government's total investment in waste and resource recovery initiatives to more than $100 million since 2014.
develop markets for recycled materials. To meet these goals, ten actions are being delivered in partnership with industry and local government. This will ensure the state’s waste and recycling industries are operating at the highest standards. You can read a summary in the fact sheet, or read the full plan. Why did Victoria release the Recycling Industry Strategic Plan? In January 2018, China introduced its National Sword Policy. The policy limits the import of low-quality mixed recyclables, including paper and plastic. This policy change had a significant impact on recycling industries and markets around the world. China has not completely banned the import of all recycled plastic and paper, but now requires a cleaner version of these materials. The plan has been developed to overcome this challenge and build a resilient recycling sector in Victoria. It will provide support for Victoria’s recycling industry in the medium to long-term. Victorians are great at recycling and we’ve worked hard to build our recycling system. Correctly sorting recycling for kerbside collection is now more critical than ever. Remind yourself what can and can’t be recycled by checking with your local council, or visiting the Sustainability Victoria website. 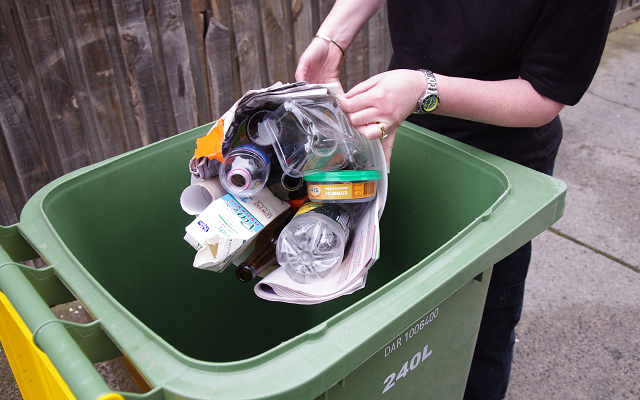 Recycling services can differ from council to council. All Victorians can also help by minimising the amount of waste produced and purchasing products that contain recycled content. 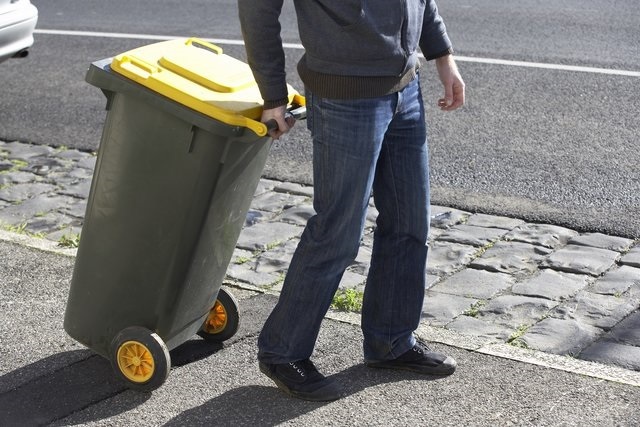 Maintaining kerbside recycling is a key objective of the Recycling Industry Strategic Plan, but the Government’s highest priority is the safety of Victorian communities. The Environment Protection Authority issued notices to SKM Recycling on 14 February 2019, due to fire risks from stockpiled material at their Coolaroo and Laverton North facilities. This means SKM cannot accept recyclable materials at those facilities, and that if alternative facilities are not available, recycling from some councils may be sent to landfill in the short-term. While this is unfortunate, the EPA is acting now to protect Victorians and our environment. What else is the Victorian Government doing? Victoria is the first Australian jurisdiction to have in place a comprehensive, long-term waste and resource recovery infrastructure planning framework. The framework was finalised in July 2017 and consists of the 30-year Statewide Waste and Resource Recovery Infrastructure Plan and seven 10-year Regional Waste and Resource Recovery Implementation Plans. Together, these plans set out the infrastructure we need to manage and recover resources. education for households and businesses about how to better manage waste. The 2018-19 budget provided $25.9 million for waste and resource recovery. You can read about this investment in the Fact Sheet Waste and Resource Recovery - Budget 2018-19. A key action in the Recycling Industry Strategic Plan is the development of a Victorian circular economy policy by 2020. This will be a whole-of-government policy that will provide the long-term direction and certainty for Victoria’s waste and resource recovery industry. Read more about the Victorian Government’s approach to a circular economy. Victorians are great recyclers and we’ve worked hard to build our recycling system. But we can all do more to reduce the amount of waste we produce in the first place – whether it is recyclable or otherwise. Using reusable drink bottles, coffee cups, cutlery and straws is a great start. Better recycling habits could reduce the amount of contaminated recycling going to landfill by about 40,000 tonnes every year. We can also support our recycling industry by buying recycled products. These could include Australian-made recycled office paper and 100 per cent recycled toilet tissue. Recycling takes a coordinated effort between local councils, recycling and processing facilities, waste management groups, and companies that turn recycled materials into new products. How much of Victoria’s recyclable material is sent overseas? We process about 86% of our recyclable materials here in Australia. The other 14% is processed overseas, including in China. The proportion that is exported varies across materials. Will kerbside collection of recycling continue? Maintaining kerbside collections is a key objective of the Recycling Industry Strategic Plan. Kerbside services are the responsibility of councils and their contractors, but actions in the plan will ensure they are supported to continue delivering recycling services in the medium to long term. The actions in the plan will be delivered over a three year period from 2018-2021. The plan will be delivered by consumers and waste producers, the resource recovery industry and manufacturers, and all levels of government, in partnership with the community. Why is the recycling sector important to Victoria? The recycling sector stimulates the Victorian economy, creates employment and helps the environment. The sector has an annual turnover of $4 billion and provides 12,000 full time equivalent jobs across more than 590 businesses. The sector also plays an important role in protecting our environment. It substantially reduces the amount of materials going to landfill and reduces the use of new materials in manufacturing. Of the 12.7 million tonnes of waste generated in Victoria in 2015/16, the recycling industry helped us to recover 8.5 million tonnes. Research has shown recycling one plastic bottle saves enough energy to power a computer for 25 minutes. Recycling one tonne of paper saves three cubic metres of landfill space. What is the Resource Recovery Infrastructure Fund? The $21 million Resource Recovery Infrastructure Fund supports the development of infrastructure to improve the collection and processing of recycled materials. More information about the Fund’s achievements and progress can be found here. What is the Resource Recovery Market Development Fund? The $4.5 million Resource Recovery Market Development Fund is designed to help create new markets for Victoria’s recyclable materials.